1 Twardowski ZJ: We should strive for optimal hemodialysis: a criticism of the hemodialysis adequacy concept. Hemodial Int 2003;7:5-16. 2 Twardowski ZJ: Fallacies of high-speed hemodialysis. Hemodial Int 2003;7:109-117. 3 Twardowski ZJ: Short, thrice-weekly hemo-dialysis is inadequate regardless of small molecule clearance. Int J Artif Organs 2004; 27:452-466. 4 Saran R, Bragg-Gresham JL, Levin NW, Twardowski ZJ, Wizemann V, Saito A, Kima-ta N, Gillespie BW, Combe C, Bommer J, Akiba T, Mapes DL, Young EW, Port FK: Longer treatment time and slower ultrafiltration in hemodialysis: associations with reduced mortality in the DOPPS. Kidney Int 2006;69:1222-1228. 5 Pendras JP, Erickson RV: Hemodialysis: a successful therapy for chronic uremia. Ann Intern Med 1966;64:293-311. 6 Eschbach JW Jr, Barnett BM, Cole JJ, Daly S, Scribner BH: Hemodialysis in the home. A new approach to the treatment of chronic uremia. Ann Intern Med 1967;67:1149-1162. 7 Schupak E, Merrill JP: Experience with long-term intermittent hemodialysis. Ann Intern Med 1965;62:509-518. 8 Cambi V, Arisi L, Buzio C, Rossi E, Savazzi G, Migone L: Intensive utilisation of a dialysis unit. Proc Eur Dial Transplant Assoc 1973;10: 342-348. 9 Cambi V, Savazzi G, Arisi L, Bignardi L, Bruschi G, Rossi E, Migone L: Short dialysis schedules (SDS) - finally ready to become a routine? Proc Eur Dial Transplant Assoc 1975; 11: 112-120. 10 Barth RH: Short hemodialysis: big trouble in a small package; in Friedman EA (ed): Death on Hemodialysis: Preventable or Inevitable. Dordrecht, Kluwer Academic, 1994, pp 143157. 11 Stewart RD, Lipps BJ, Baretta ED, Piering WR, Roth DA, Sargent JA: Short-term hemodialysis with the capillary kidney. Trans Am Soc Artif Intern Organs 1968; 14:121-125. 12 Ari JB, Oren A, Berlyne GM: Short duration-high area regular dialysis using two UF 2 coils in series. Nephron 1976;16:74-79. 13 Babb AL, Popovich RP, Christopher TG, Scribner BH: The genesis of the square meter-hour hypothesis. Trans Am Soc Artif Intern Organs 1971;17:81-91. 14 Scribner BH: A personalized history of chronic hemodialysis. Am J Kidney Dis 1990; 16: 511-519. 15 Babb AL, Strand MJ, Uvelli DA, Milutinovic J, Scribner BH: Quantitative description of dialysis treatment: a dialysis index. Kidney Int Suppl 1975;2:23-29. 16 Gotch FA, Sargent JA: A theoretical definition of minimal acceptable dialysis therapy. Kidney Int Suppl 1978;8:S108-S111. 17 Lowrie EG: History and organization of the National Cooperative Dialysis Study. Kidney Int Suppl 1983;13:S1-S7. 18 Sargent JA: Control of dialysis by a singlepool urea model: the National Cooperative Dialysis Study. Kidney Int Suppl 1983; 13: S19-S25. 19 Parker TF, Laird NM, Lowrie EG: Comparison of the study groups in the National Cooperative Dialysis Study and a description of morbidity, mortality, and patient withdrawal. Kidney Int Suppl 1983;13:S42-S49. 20 Harter HR: Review of significant findings from the National Cooperative Dialysis Study and recommendations. Kidney Int Suppl 1983; 13:S107-S112. 21 Gotch FA, Sargent JA: A mechanistic analysis of the National Cooperative Dialysis Study (NCDS). Kidney Int 1985;28:526-534. 22 von Albertini B, Miller JH, Gardner PW, Shi-naberger JH: High-flux hemodiafiltration: under six hours/week treatment. Trans Am Soc Artif Intern Organs 1984;30:227-231. 23 Rotellar E, Martinez E, Samso JM, Barrios J, Simo R, Mulero JF, Perez D, Bandrès S, Pinol J: Why dialyze more than 6 hours a week? Trans Am Soc Artif Intern Organs 1985;31: 538-545. 24 Rotellar E: Why dialyze more than 6 hours a week?. Trans Am Soc Artif Intern Organs 1985;31:538-545. 25 Degoulet P, Rach I, Rozenbaum W, Aime F, Devries C, Berger C, Rojas P, Jacobs C, Legrain M: Société de Néphrologie. Commission informatique. Programme Dialyse-Informatique. J Urol Nephrol (Paris) 1979; 85:909-962. 26 Kramer P, Broyer M, Brunner FP, Brynger H, Donckerwolcke RA, Jacobs C, Selwood NH, Wing AJ: Combined report on regular dialysis and transplantation in Europe, XII, 1981. Proc Eur Dial Transplant Assoc 1983; 19:459. 27 Sellars L, Robson V, Wilkinson R: Sodium retention and hypertension with short dialysis. Br Med J 1979;1:520-521. 28 Wizemann V, Kramer W: Short-term dialysis - long-term complications. Ten years experience with short-duration renal replacement therapy. Blood Purif 1987;5:193-201. 29 Held PJ, Levin NW, Bovbjerg RR, Pauly MV, Diamond LH: Mortality and duration of hemodialysis treatment. JAMA 1991;265:871-875. 30 Berger EE, Lowrie EG: Mortality and the length of dialysis. JAMA 1991;265:909-910. 31 Kjellstrand CM, Blagg CR: Differences in dialysis practice are the main reasons for the high mortality rate in the United States compared to Japan. Hemodial Int 2003;7:67-71. 32 Held PJ, Brunner F, Odaka M, Garcia JR, Port FK, Gaylin DS: Five-year survival for end-stage renal disease patients in the United States, Europe, and Japan, 1982 to 1987. Am J Kidney Dis 1990;15:451-457. 33 Held PJ, Blagg CR, Liska DW, Port FK, Hakim R, Levin N: The dose of hemodialysis according to dialysis prescription in Europe and the United States. Kidney Int Suppl 1992;38:S16-S21. 34 Innes A, Charra B, Burden RP, Morgan AG, Laurent G: The effect of long, slow hemodi-alysis on patient survival. Nephrol Dial Transplant 1999;14:919-922. 35 US Renal Data System, USRDS 2002 Annual Data Report: Atlas of End-Stage Renal Disease in the United States. Bethesda, National Institutes of Health, National Institute of Diabetes and Digestive and Kidney Diseases, 2002. 36 Shinzato T, Nakai S, Akiba T, Yamazaki C, Sasaki R, Kitaoka T, Kubo K, Shinoda T, Ku-rokawa K, Marumo F, Sato T, Maeda K: Survival in long-term haemodialysis patients: results from the annual survey of the Japanese Society of Dialysis Therapy. Nephrol Dial Transplant 1997;12:884-888. 37 Shinzato T, Nakai S: Do shorter hemodialyses increase the risk of death? Int J Artif Organs 1999;22:199-201. 38 Valderrabano F: Weekly duration of dialysis treatment - does it matter for survival? Nephrol Dial Transplant 1996;11:569-572. 39 Schreiber MJ Jr: Setting the stage. Am J Kidney Dis 2001;38(suppl 4):S1-S10. 40 Tisler A, Akocsi K, Boras B, Fazakas L, Fe-renczi S, Görögh S, Kulcsar I, Nagy L, Samik J, Szegedi J, Toth E, Wagner G, Kiss I: The effect of frequent or occasional dialysis-associated hypotension on survival of patients on maintenance haemodialysis. Nephrol Dial Transplant 2003; 18:2601-2605. 41 Brunet P, Saingra Y, Leonetti F, Vacher-Co-ponat H, Ramananarivo P, Berland Y: Tolerance of haemodialysis: a randomized crossover trial of 5-hour vs. 4-hour treatment time. Nephrol Dial Transplant 1996; 11 (suppl 8):46-51. 42 Daugirdas JT: Pathophysiology of dialysis hypotension: an update. Am J Kidney Dis 2001;38(suppl 4):S11-S17. 43 Sherman RA: Modifying the dialysis prescription to reduce intradialytic hypotension. Am J Kidney Dis 2001;38(suppl 4):S18-S25. 44 Ronco C, Feriani M, Chiaramonte S, Conz P, Brendolan A, Bragantini L, Milan M, Fabris A, DellAquila R, Dissegna D, Crepaldi C, Agazia B, Finochi G, De Dominicas E, La Greca G: Impact of high blood flows on vascular stability in haemodialysis. Nephrol Dial Transplant 1990;5(suppl 1):109-114. 45 National Kidney Foundation: K/DOQI clinical practice guidelines for hemodialysis adequacy, 2000. Am J Kidney Dis 2001; 37 (suppl 1):S7-S64. 46 Bergström J, Asaba H, Fürst P, Oules R: Dialysis, ultrafiltration, and blood pressure. Proc Eur Dial Transplant Assoc 1976; 13: 293-305. 47 Locatelli F, Costanzo R, Di Filippo S, Pedrini L, Marai P, Pozzi C, Ponti R, Sforzini S, Re-daelli B: Ultrafiltration and high sodium concentration dialysis: Pathophysiological correlation. Proc Eur Dial Transplant Assoc 1978;15:253-259. 48 Graefe U, Follette WC, Vizzo JE, Goodisman LD, Scribner BH: Reduction in dialysis-induced morbidity and vascular instability with the use of bicarbonate in dialysate. Proc Clin Dial Transplant Forum 1976;6:203-209. 49 Graefe U, Milutinovich J, Follette WC, Vizzo JE, Babb AL, Scribner BH: Less dialysis-induced morbidity and vascular instability with bicarbonate in dialysate. Ann Intern Med 1978;88:332-336. 50 Maggiore Q, Pizzarelli F, Zoccali C, Sisca S, Nicolo F, Parlongo S: Effect of extracorporeal blood cooling on dialytic arterial hypotension. Proc Eur Dial Transpl Assoc 1981; 18:597-602. 51 Henrich WL, Hunt JM, Nixon JV: Increased ionized calcium and left ventricular contractility during hemodialysis. N Engl J Med 1984;310:19-23. 52 Perazella MA: Pharmacologic options available to treat symptomatic intradialytic hypotension. Am J Kidney Dis. 2001;38(suppl 4): S26-S36. 53 Stiller S, Bonnie-Schorn E, Grassmann A, Uhlenbusch-Körwer I, Mann H: A critical review of sodium profiling for hemodialysis. Semin Dial 2001;14:337-347. 54 Stefanidis I, Stiller S, Ikonomov V, Mann H: Sodium and body fluid homeostasis in profiling hemodialysis treatment. Int J Artif Organs 2002;25:421-428. 55 Iselin H, Tsinalis D, Brunner FP: Sodium balance-neutral sodium profiling does not improve dialysis tolerance. Swiss Med Wkly 2001;131:635-639. 56 Charra B, Jean G, Hurot J-M, Terrat J-C, Vanel T, VoVan C, Maazoun F, Chazot C: Clinical determination of dry body weight. Hemodial Int 2001;5:42-50. 57 Salem M: Hypertension in the hemodialysis population? High time for answers. Am J Kidney Dis 1999;33:592-594. 58 Rocco MV, Yan G, Heyka RJ, Benz R, Cheung AK; HEMO Study Group: Risk factors for hypertension in chronic hemodialysis patients: baseline data from the HEMO study. Am J Nephrol 2001;21:280-288. 59 Vertes V, Cangiano JL, Berman LB, Gould A: Hypertension in end-stage renal disease. N Engl J Med 1969;280:978-981. 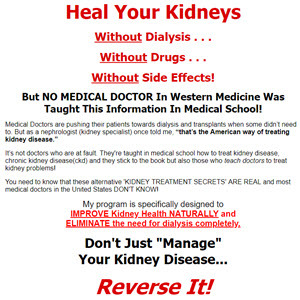 60 Kempner W: Treatment of kidney disease and hypertensive vascular disease with rice diet. NC Med J 1944;5:125-133. 61 Kempner W: Treatment of heart and kidney disease and of hypertensive and arterioscle-rotic vascular disease with the rice diet. Ann Intern Med 1949;31:821-856. 62 Murphy RJF: The effect of 'rice diet' on plasma volume and extracellular fluid space in hypertensive patients. J Clin Invest 1950;29: 912-917. 63 Charra B, Bergstrom J, Scribner BH: Blood pressure control in dialysis patients: Importance of the lag phenomenon. Am J Kidney Dis 1998;32:720-724. 64 Khosla UM, Johnson RJ: Hypertension in the hemodialysis patient and the 'lag phenomenon': insights into pathophysiology and clinical management. Am J Kidney Dis 2004;43:739-751. 65 Tuccillo S, De Nicola L, Minutolo R, Sciglia-no R, Trucillo P, Avino D, Venditti G, De Luca A, Tirino G, Mascia S, Laurino S, Conte G: Hypertension in patients on hemodi-alysis: the role of salt intake. (in Italian). G Ital Nefrol 2005;22:456-465. 66 Krautzig S, Janssen U, Koch KM, Granolle-ras C, Shaldon S: Dietary salt restriction and reduction of dialysate sodium to control hypertension in maintenance haemodialysis patients. Nephrol Dial Transplant 1998; 13: 552-553. 67 Rahman M, Dixit A, Donley V, Gupta S, Hanslik T, Lacson E, Ogundipe A, Weigel K, Smith MC: Factors associated with inadequate blood pressure control in hypertensive hemodialysis patients. Am J Kidney Dis 1999;33:498-506. 68 Twardowski Z: The adequacy of haemodialysis in treatment of chronic renal failure. Acta Med Pol 1974;15:227-243. 69 Dorhout Mees EJ: Volaemia and blood pressure in renal failure: Have old truths been forgotten? Nephrol Dial Transplant 1995; 10: 1297-1298. 70 Scribner BH: Chronic renal disease and hypertension. Dial Transplant 1998;27:702-704. 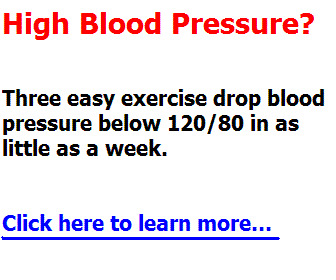 71 Scribner BH: Can antihypertensive medications control BP in haemodialysis patients: yes or no? Nephrol Dial Transplant 1999; 14: 2599-2601. 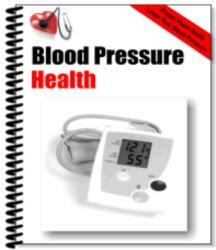 72 Fishbane SA, Scribner BH: Blood pressure control in dialysis patients. Semin Dial 2002; 15: 144-145. 73 Hörl MP, Hörl WH: Hemodialysis-associat-ed hypertension: pathophysiology and therapy. Am J Kidney Dis 2002;39:227-244. 74 Locatelli F, Manzoni C: Duration of dialysis session - was Hegel right? Nephrol Dial Transplant 1999;14:560-563. 75 Covic A, Goldsmith DJ, Venning MC, Ack-rill P: Long-hours home haemodialysis - the best renal replacement therapy method? QJM 1999;92:251-260. 76 McGregor DO, Buttimore AL, Lynn KL, Nicholls MG, Jardine DL: A comparative study of blood pressure control with short in-center versus long home hemodialysis. Blood Purif 2001; 19:293-300. 77 Katzarski KS, Divino Filho JC, Bergström J: Extracellular volume changes and blood pressure levels in hemodialysis patients. He-modial Int 2003;7:135-142. 78 Vanholder RC, Glorieux GL, De Smet RV: Uremic toxins: removal with different therapies. Hemodial Int 2003;7:156-161. 79 Stiller S, Mann H, Brunner H: Backfiltration in hemodialysis with highly permeable membranes; in Streicher E, Seyffart G (eds): Highly Permeable Membranes. Contrib Nephrol. Basel, Karger, 1985, 46, pp 23-32. 80 Montagnac R, Schillinger F, Milcent T, Croix JC: Hypersensitivity reactions during hemo-dialysis. Role of high permeability, retrofil-tration and bacterial contamination of the dialysate (in French). Nephrologie 1988; 9: 29-32. 81 Ronco C: Backfiltration: a controversial issue in modern dialysis. Int J Artif Organs 1988;11:69-74. 82 Panichi V, Migliori M, De Pietro S, Taccola D, Andreini B, Metelli MR, Giovannini L, Palla R: The link of biocompatibility to cytokine production. Kidney Int Suppl 2000;76: S96-S103. 83 Kalantar-Zadeh K, Stenvinkel P, Pillon L, Kopple JD: Inflammation and nutrition in renal insufficiency. Adv Ren Replace Ther 2003;10: 155-169. 84 Goodkin DA, Young EW: An update on the Dialysis Outcomes and Practice Patterns Study (DOPPS). Contemp Dial Nephrol 2001;22: 36-40. 85 Pisoni RL, Young EW, Dykstra DM, Greenwood RN, Hecking E, Gillespie B, Wolfe RA, Goodkin DA, Held PJ: Vascular access use in Europe and the United States: results from the DOPPS. Kidney Int 2002;61:305-316. 86 Allon M, Robbin ML: Increasing arteriove-nous fistulas in hemodialysis patients: problems and solutions. Kidney Int 2002; 62: 1109-1124. 87 Davenport A: Central venous catheters for hemodialysis: how to overcome the problems. Hemodial Int 2000;4:78-82. 88 Bommer J: If you wish to improve adequacy of dialysis, urea kinetics, such as Kt/V, may be the wrong parameter to study. ASAIO J 2001;47:189-191. 89 De Palma JR, Abukurah A, Rubini ME: 'Adequacy' of haemodialysis. Proc Eur Dial Transplant Assoc 1972;9:265-270. 90 Twardowski Z: Significance of certain measurable parameters in the evaluation of haemodialysis adequacy. Acta Med Pol 1974; 15: 245-254. 91 Ronco C: On-line monitors in hemodialysis: tools or toys. Hemodialysis Today 2001;3: 13. 92 Mapes DL, Lopes AA, Satayathum S, Mc-Cullough KP, Goodkin DA, Locatelli F, Fu-kuhara S, Young EW, Kurokawa K, Saito A, Bommer J, Wolfe RA, Held PJ, Port FK: Health-related quality of life as a predictor of mortality and hospitalization: the Dialysis Outcomes and Practice Patterns Study (DOPPS). Kidney Int 2003;64:339-349. 93 Fukuhara S, Lopes AA, Bragg-Gresham JL, Kurokawa K, Mapes DL, Akizawa T, Bom-mer J, Canaud BJ, Port FK, Held PJ; Worldwide Dialysis Outcomes and Practice Patterns Study: Health-related quality of life among dialysis patients on three continents: the Dialysis Outcomes and Practice Patterns Study. Kidney Int 2003;64:1903-1910.